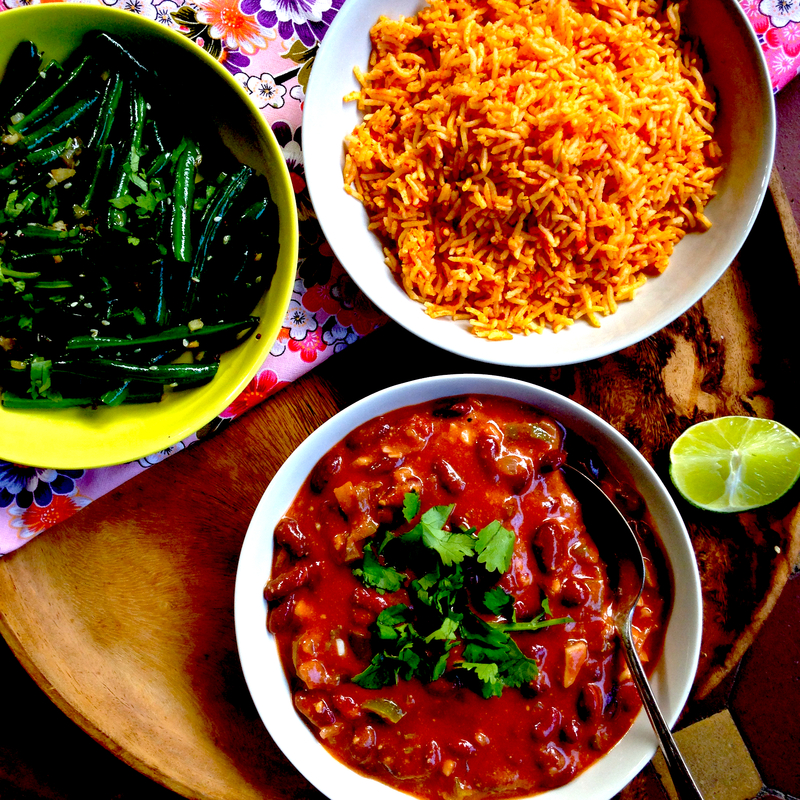 The two can bean dinner is a staple of vegetarian home cooking. You can never have too many quick meals up your sleeve using a couple of cans of beans. It’s fast and convenient and if you compare, preparing a meal of beans and rice to ordering and picking up takeaway, the canned beans and rice dinner wins on time and money hands down. My most common canned bean dinner is some kind of variation of chickpeas in tomato sauce but I often make quick dals using white beans or kidney beans. This Nigerian stew uses the required two cans of beans but the addition peanut butter gives the gravy a lush unctuousness that sets it apart. Simple and delicious. Add rice and a vegetable side and you have one of the quickest and easiest meals on the planet. Heat oil in a medium pan over medium heat. Add onion, garlic and pepper and saute until onion is translucent and pepper is softened. Add cumin and stir once then add passata, cayenne, lemon juice and 100mls of water. Stir and bring to a simmer and simmer on low for about 10 minutes. Add the cans of beans with bean fluid as well. Stir and bring to simmer. Take about six tablespoons of bean liquid from the beans and mix with peanut butter then stir back through the beans. Simmer beans for about 15 minutes stirring occasionally until gravy has thickened. Serve hot with rice and greens.